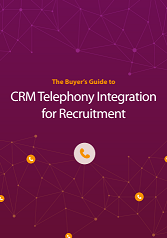 From working with many recruitment businesses that use our product, we have an understanding of the time-pressured environments that recruiters can operate in, and equally, understand just how long it can take to search for a candidate record or upload detailed call notes straight to your CRM system. Recruiters and Hiring Managers – Better Together? With a growing number of talented candidates available, and employers receiving from anywhere between 20 and 100 applications per job opening, according to CV Library; it is even more important to ensure that organisations are receiving the right candidates for the role. Happy 10th Birthday, Salesforce AppExchange! Here’s to many more years with you – Happy Birthday Salesforce AppExchange! It’s only the first week of the New Year and while most of us are still busy deciding on our resolutions for 2016, here at SYNETY, after a busy and fruitful 2015, we are looking forward to an exciting 2016 and have set our business goals accordingly. Our main aim, as always, is the continued success of CloudCall through the delivery of a high quality solution to our customers. We will also continue to grow and strengthen our team this year and are committed to working ever more closely with our partners.